It’s been just over a year since the U.S. Defense Department officially declassified two videos that showed an encounter between two Navy F/A-18F fighter jets and an unidentified flying object (UFO). The interview took place, Reid said, just before a scheduled call with a Senator to discuss ways for Congress to listen to the Black Money reports. 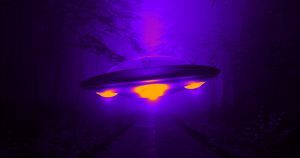 After all, one of the biggest reasons these sightings never actually surfaced or reported by service members is the stigma surrounding the subject of aliens and UFOs. Reid may have retired back in 2017, but he still has powerful connections inside Congress. Service members deserve, he believes, to have their voices heard. More on UFOs: You’re Not Crazy if You Believe in UFOs. Let’s Discuss in Scientific Terms.